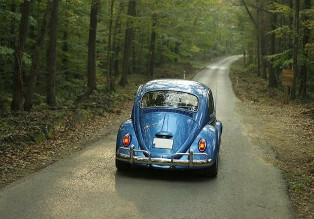 Do you face problems while hiring a car to go on a holiday as the bill exceeds way over what you expected? Most people generally face this problem as they do not completely understand the rentals before starting their journey. There are plenty of other additional charges that can take a nice rate to an ordinary deal very quickly.There are plenty of other additional charges that can take a nice rate to an ordinary deal very quickly. There are certain points you should look out for before renting a car and you can definitely save a lot of your hard earned money. Firstly, before renting a car you should do a lot of research online. Keep on looking for the best prices. People often think that every car rental service offers more or less the same rates. This is not true. Allow you to search for the best rental car deals available by city or airport location. Visit their sites and seek for special discounts offered by them. Read carefully about their rates offered and completely understand the terms and conditions. Just a few minutes of online research could save you some serious cash on your next car rental. Discount on a weekly rental will help to cut rental car costs saving money and budget for your holiday. Try to avoid renting car from airport as the charges you have to pay will be much higher. With car rental rates at airports so high, it’s a good idea to check out car rental deals in the city or near the destination you’ll be visiting. Just make sure it’s not too much of a hassle to get your rental car agency as you are on vacation after all. Always book early. Booking car in time will allow you to choose from your vehicle of your choice. Wait until the last minute and you could get stuck paying much higher rates, and you may have a tougher time finding the vehicle that you want. So if you Don’t hesitate to negotiate your rates. Chances are there that you might seal the deal at your price. Following some of the tips you can actually save a lot of money on your next car hire Johannesburg airport. So be smart and consider the best deal while renting a car.